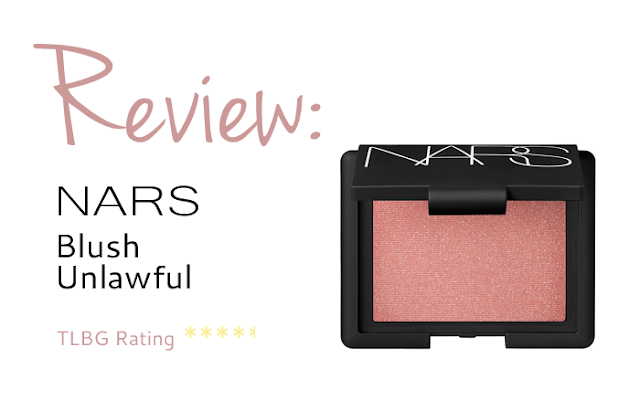 NARS blush in Unlawful is, simply put, fantastic. It’s a great colour for most skin tones and offers a bronzed flush of colour to your cheeks in one swift sweep. NARS is a fabulous professional make-up company, their pigments and products really are top of the make-up game – and this blusher is no exception. The powder is soft, with a subtle shimmer. The colour is rich so you can achieve the perfect glow quickly – without having to really work your brush into the powder. It sits well over set foundation and blends to give you softly colour cheeks (or brighter if that’s your style!). The powder is light on your skin too, so you don’t feel like your pores are getting clogged up with product. Unlawful is a beautiful tanned dusky rose colour, with a hint of coral. It is an ideal colour for the summer months to give you that fresh post holiday glow. NARS always has superb packaging. There blushers come in a handy little compact with a mirror in the lid. Seriously, we can never have to many mirrors in our make-up bags. This is a top product and a great blusher. The pigment is unbeatable, it’s pure colour perfection. We’ve been using it all summer long, and it’s going firmly with us into fall. Previous Post Weekend Wish List – We’re Coco-Nuts!